Though it is late, I cannot miss counting my blessings for December. So, quickly on to my Gratitude List. I never thought that I would teach dance when I learned it. I always thought I would become a professional dancer and perform which I did my whole life till now. 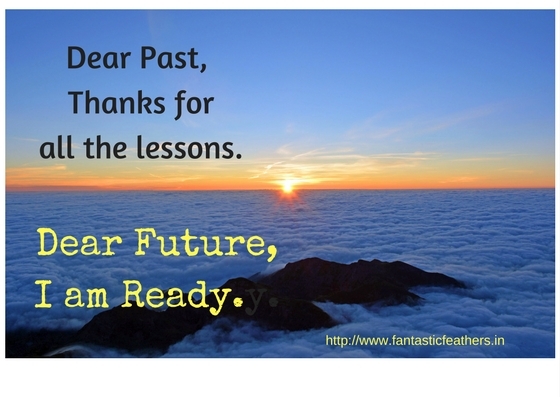 I think it is time to take the next step and pass on what I have learned to my next generation. I am very grateful to my Dance teacher Ms. Parvathi Ramachandran for training me with patience. My Dance classes have picked up from December and I am looking forward to focussing on teaching this year as well. As we grow older and matured, It is difficult to find good friends. Did you observe? In this new place and new country, I took time to make friendships (Not a hi, bye type but helping each other type). This month and the last month, I have met many people and made new friends - I would say, good friends. I am grateful for this. I got some time to read good books this month. I enjoyed reading 'Empire' by Devi Yesodharan which is an inspiring Historical fiction. 'Destined' by Rubina is a Romance with a nice concept. Mama Graciela's Secret is a Children's story with moral. Black Peppers is a thriller set in 1700 AD in Kerala. Karna's Celestial Armour is a Mythological Fiction. I am grateful for the opportunity to read many genres and different stories. Even though it was tough being a judge most of the time when my both sons fight for every small thing, I survived their Christmas holidays. We read some good books, did some crafts together and also did some drawings. We watched some movies too. 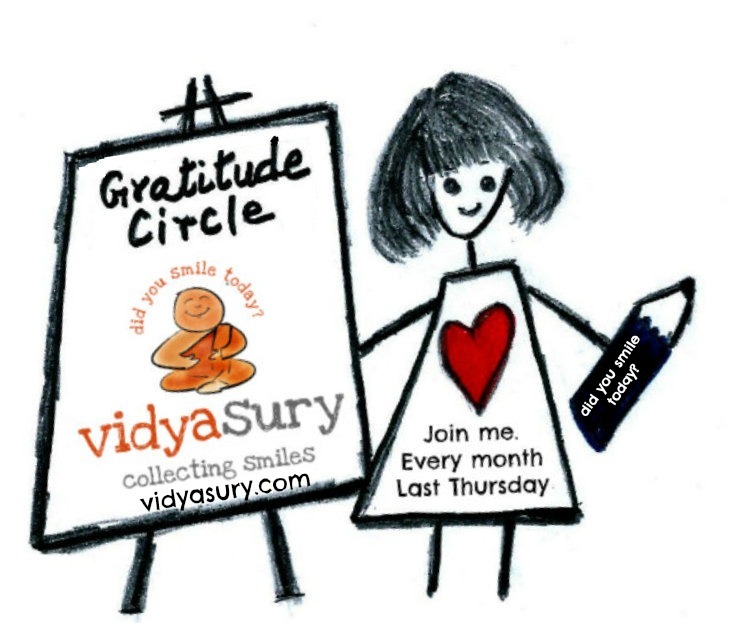 Linking this post to #MondayMusings hosted by Corinne, #GratitudeCircle hosted by Vidya, Thankful Thursday linkup by Shirley Corder and #QuotedStories hosted by Upasna. Hey Ramya, What kind of dance form are you into? Its great to wake up late but again it's not practically possible for Mothers. Thanks for linking up with #QuotedStories. Iam teaching Kuchipudi Upasna. This is tradition dance from Andhra Pradesh. Beautiful post, so nice to hear that you are teaching dancing, the zentangles looks interesting, loved all the images you shared. Wishing you a blessed 2018 and a healthy and harmonious year. Nice to know that you too enjoyed a relaxed time over the holidays just as we did here! I loved waking up late as my son's school was shut for a week so I know the feeling you described. Small joys of life, as they say! 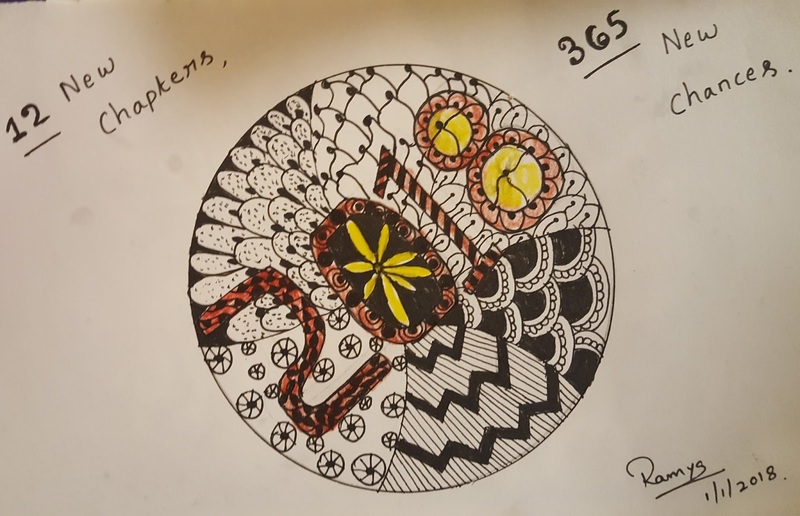 Its really good that you've started exploring your creativity through dance and Zentangles...Way to go, Ramya! Wish you a very fulfilling and creative 2018! I love this post. My word for 2018 is thankfulness and I'm wondering if we can't spin our posts off one another. 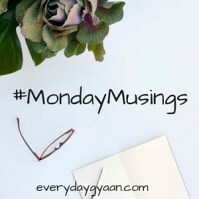 This is my first link-up and it's based on Thankful_Thursday. Thankful Thursday Link Party? It looks like you had a very fulfilling December. :) Wishing you a happy, healthy, and prosperous New Year. P.S. Which dance form do you practice? Nice to hear that you are teaching what you learnt. Good that you had a good time with your kids during Christmas break. Thanks for linking up, Ramya. Sorry, I think I called you by the wrong name! Awww, that is so sad! I liked this interpretation of the prompt, Mahathi :) The fact that butterflies can be touched in our dreams and not otherwise, seems so poignant and true, isn't it? Thanks for writing and linking it up! ya, you can Geetika.. Didn't feel it as must read. Very happy to hear that, Mahathi :) Thank you! Davinci Codeis one of favorite books. Yes Alexandra, me too waiting to read next novel of Dan Brown. Actually, his last novel 'The lost symbol' is also waiting in my wishlist :) Try other Indu Sundaresan novels too..
That was a good list. Super list. I love Sherlock Holmes too (one of the first gigantic tomes I actually managed to finish!). Love #1 and 3! I got my MIL hooked on Dan Brown, can't wait til his next novel comes out. Aww that's sweet and it's so rare to have no fights. God you should see my kids! Hut I cannot complain because my sister and I fought too. But this I know for sure when the Gods distribute siblings they make sure they are complete opposites. I am planning to go for camping in Shimla in October. I have read several blogs and i am very impressed. I am looking for a travel buddy. Thanks Shailaja. It's my pleasure to participate in this flash fiction with prompt. Really its sad for a school girl na to grow saplings for a school project to get disappointed at the end. Awww, how sad for her! Really tragic! I can just imagine her pain when she took all that care. Oh! That's so sad but brilliantly woven. As every year many thousands of tourists visit Shirdi, therefore, Shirdi hotels is the prime need and there are number of hotels and lodges are available. In Shirdi, you will get number of hotels that ranges from budget to five stars and these hotels provide excellent facilities to their customers. Great ideas Mahathi. This year we decided to make a conscious effort to involve the kids more in each aspect of Diwali - including the cleaning. And it turned out a lot of fun. Such a feel good post! :) I used to wait for santa and tried to wake up couple of times in the night to check if my presents had arrived. Though we never really celebrated Christmas, My dad's best friends always invited us over Plum cake & Christmas carols were a big part of my growing up. Your post evoked my christmas memories too, having studied in a convent. The carols and christmas decorations before holidays are unforgettable. Merry Christmas to you! Your musings took me back to my childhood. Carols were a big part of my childhood too. hello Mahathi, I would like to appreciate you for raising such an important issue. Cleanliness is something we Indians still need to learn. Yes. People needs to change the mindset. The sad fact is the educated people are also doing the same mistakes even if they had the education which would change their mindset..
mm.. i too think the same Roshni.. Environment and surroundings impacts children. Yes Archana. That change in mindset is required and may be we can instil the same in our kids. Makes sense Mahathi. If only more people would understand the importance of cleanliness! Thanks Nikita. Glad that you liked my review. Will surely check yours. LOved your balanced review Mahathi.. I completely agree with you. I too was not really engaged in the book. I expected more from it. It's sad that our kids have to see such bad examples of grownup behaviour all the time! Interesting Ramya.Hope you fetch the further echelons of your career.By the way ..My daughter is also studying fourth year B.tech. I have read The tides of memory some months back.Tilly is great but she doesn't possess something that Sidney Sheldon got , the sharp and racy feel. Coorg has been one of my most memorable and beautiful trips. I didn't know about the monastery in Kushalnagar, only about Bylakuppe. Cool photo-post. Really liked the narration. Thanks Amar. It's nice place. Glad that you liked my narration. Brilliant write up...couldn't agree more - we don't need a single day to express gratitude to our parents !!! "Good or bad, everything is an opportunity to learn something." is a good quote I too believe in. Completely agree.. it's not easy Robyn. yes reminders help. Interests and hobbies are unique to every individual, so we should somehow set time for them. Much food for thought here, Mahati. I'm not a mom, but I do believe that we must walk the talk with the next generation! Cheers Lady! I see you enjoy motherhood. Since I am still not there, I will not be able to share more on this topic. Definitely, Kids are pure joy for what ever they do. Thanks for posting! Every one of them is important. Right now, 'disconnect' appeals to me the most! Looking forward to reading more of your writing, Mahati. It's definitely important to be an example of the change we want to see! Congratulations ! Glad to read that you lived the moment. Thanks Sheela. Glad that you too agree. Exactly...we need to show them instead of telling them. Being a role model for our children is very important.....I completely agree. Very powerful quote! I have learned to turn disappointments into gratitude and that helps to stay enthusiastic. I guess most of us are this way, Mahathi. I have no kids to run after, but somedays I feel I'm playing catch up all day long! Thanks for taking up the tag. Wow! I woke up at 5 AM by accident today. Post reading your write up, i have the urge to have this steamed cup of coffee sitting in my balcony viewing the greenery outside my house. The hot sip of coffee along with my family will definitely be well rejuvenating. This was very deep and true. .the mindset that we choose to have when we start our day will impact our perception for that day. Glad that you experienced a fresh day Ajay . True! These small things in the morning and their impact - I realised it very late. I like starting early, and luckily my kid wakes up early too. Its a great habit to have and gives such a nice begining to the day. Thanks for dropping by mimi. It's really great that you chose happiness and lived every moment. Because it's not as easy as said. LOL :D My childhood would have been a whole lot easier if that had happened! :) Cute reply from the kiddo. Thanks Laurel. My pleasure to join gratitude linkup. Ramya, it is heavenly to get up early and enjoy nature at its best. You must have felt the difference. ok, i understand, It's about a Telugu Indian movie. Thanks for dropping by Francene. Living in England, I haven't heard of this actor. I'm not a person who follows celebrities anyway. Of course, when I was younger, I loved the screen hero's so maybe it's my age that is voicing that opinion. Every where I am reading like addition of Spouse name in one of Parents passport is mandatory for infants passport. Is that true? What is your case btw. I am planning to apply for my kids passport. I am thinking like is it mandatory to have spouse name in one of our passport. Please let me know the detaisl you have. Haven't read about the rule that it's mandatory to have spouse's name on passport. No idea about this. We had both of the names in the passport, so this question didn't arise. I think, if spouse's name is not included we can show marriage certificate as an extra proof. I wouldn't say your memory is poor, just because you forgive yourself and forget a bad incident. That's the best thing you can do--learn and move on. Interesting! Yes, I heard that the end is as abrupt as the death of Jon Snow in GoT. Oh I agree with you there. That's a must for a great story even if there is to be sequel. Parul, what i feel is even though we have a sequel movie, every part should be complete by itself. In this case, until we see part 2, we wont get any idea about the story and movie seems incomplete raising lot of questions in audience. Sometimes it can be so easy to take the everyday things for granted and forget they are blessings too. Great list of reminders!! Thanks for the reply. Did you take any attested copy of passport as it is mentioned in list of documents?. I have appointment tomorrow for my kid. I am just worried if attested copy is necessary or not. thanks again. they mentioned attested not self attested. we don't need it any attested from gazetted officer, right? Good to see that you are staying positive and taking the bull by the horn. Good Luck. but i clearly remember that i have submitted self attested copies. Not sure, if rules changed later. yes, but need not worry. They ask for self attested copy, so you can sign on xerox copies and submit. Nice take on the prompt...... I think, good he overheard!! Oh no!! This place seems to be a fleecing ground. These days visiting well known places of worship and maintaining your sanity is getting more difficult than visiting a mall. I visited Kemp Fort when I came to Bangalore 10 years back. Loved it that time. There were no tickets then, no frustrating queues and the experience was wonderful. But an year later when I went again, i was disappointed. 8 years on- I haven't visited again and your post tells me that things have gone from bad to worse. Unfortunately yes Anamika. But, I think Iskon temple is maintaining diginity even after many years. Another good place that I love in Benguluru. it must be wonderful to meet your good friend. I've moved away from my country of birth and have never made a friend. That's the thing I miss most. But, I'm grateful to correspond with so many positive people in Facebook groups. Blessings. true Francene, it's great to meet old friends. Thank you for being a part of b00k r3vi3ws Tours and hosting Ms.Sarah on her special day! Glad you met a friend, had some good family time, work wise and more. May you be blessed! Yes Parul. It was wonderful earlier. But now it's worse. Even recent reviews from travel sites show negative. Sooo happy that you commented on my blog dr. Roshan :-) yes..it's good combo this month. Nice and elegant blog you have. Hmm. That's a big list to scroll though. As to the plot, everybody wants a second chance so this book should keep readers on their toes. Thank you for hosting my book! This sounds like a worthy cause! My own county in Kentucky is one of the poorer ones in the state (many farming families). Luckily, there is a good low or no pay option for breakfast and lunch for school children. It is so important for them to have adequate nutrition in order to do well in school. Looking forward to reading more of your challenge posts! ya.. Anyways we will teach our kids the importance, hope our next generation gives more importance to cleanliness. true Nabanita, that's the only concern. Transparency on each penny spent from NGO is more valuable. I wish I could help all the poor children in the world. Such inequality. So unfair. Yes Francene. It would be good if we can help all poor children. that's the best way to donate Corinne.. I agree. mm.. Might be, i might have tuned my memory to learn and move on :-) Good thing anyway Francene. I'm sure this will be helpful to people in your area. It's always such a long involved process, but I suppose it has to be that way. Yes, Francene. It's one of the important documents from Government of India, so requires a lot of verification of identity and address documents. Thanks luAnn. Wanted to make this post more detailed as it might save someone's time applying for passport. No mention of the police verification eh, Mahathi? My son's reissue application is stuck because he left for college the day before the police turned up for verification and now it looks like a long and obstacle filled road :) There is absolutely no change in the info except that the passport's validity was up. Sigh. Lovely list you have there! You are right when you say - roof above the head, food to eat and clothes to wear, we are certainly lucky than many. Three great reviews from you. They sound like good books. And congratulations on your blog's success. Also now the Aadhar card is not mandatory - there's a Supreme Court ruling on that. ha ha.. really, this light bulb concept is age old :-) thanks for dropping by anamika. I think LOVE is overstated.. in reality it does not work the way we think it works .. True bikram. Love is overstated in some films. Hehe. It must be hard to ignore primal urges in the jungle. I suppose that's because there is no technology to distract us. I would have mentioned that Vidya Sury, will edit my post to add details about it. I know, how difficult it is if stuck at that stage. For my reissue of passport, it was in police verification stage for a long duration and I had to follow up with police station many times. But, these days, Enquiry officer is calling up ahead before coming for verification, they don't want to miss the bribe :p.
Sensible quote! I find it difficult to put my thoughts into words. I find myself concurring with Christopher Poindexter who writes, " I loved her not for the way she danced with my angels, but for the way the sound of her name could silence my demons"
I was looking for you on Twitter?